When mental health is discussed, it’s typically about the adult population. 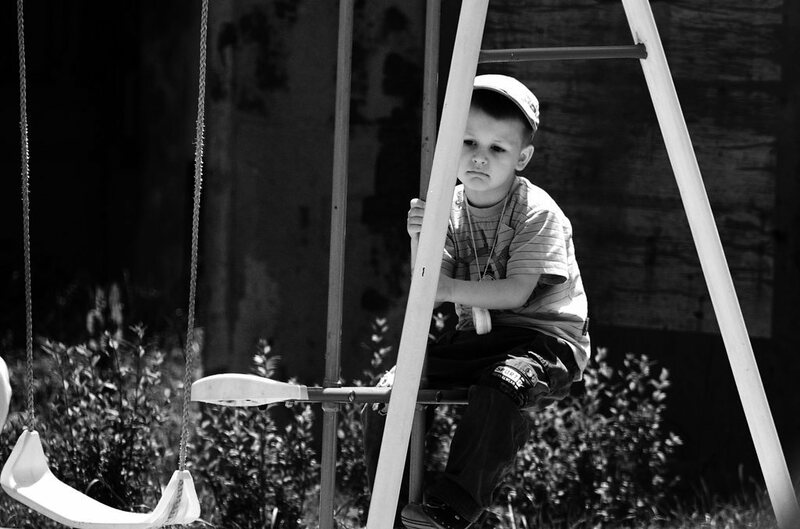 Children and older adults, however, are just as susceptible to mental health issues. In some ways, children and older adults may even be more vulnerable to mental and mood disorders. Just as in the rest of the population, children and older adults who develop a mental illness may do so for a variety of reasons, or potentially for no discernible reason at all. Mental health problems cannot be blamed entirely on one single factor. Biological, psychological, and environmental factors can all play a part. For instance, genetics, infection, substance abuse, or a variety of other biological factors might influence an individual’s likelihood of developing a mental illness. Psychological trauma, such as past abuse or the loss of a close family member early in life, can also influence the risk of mental illness. Mental health issues can have serious and lasting effects on both children and older adults. Recent studies have looked at the long-term effects of bullying, a type of psychological trauma. The British National Child Development Study, which follows all children born in England, Scotland, and Wales during one week in 1958, found that victims of bullying are still experiencing the effects. Those who were bullied are more likely to have poorer physical and psychological health, poorer cognitive function, and an increased risk of depression, anxiety disorders, and suicidal thoughts. In fact, researchers at Duke Medicine have found that bullying can even impact physical health later in life. People who experienced bullying in the past had more C-reactive protein (CRP) in their blood, which is a marker for low-grade inflammation and a risk factor for health problems. Other studies have found that stress during early life and childhood can lead to anxiety and aggression, a preference for unhealthy “comfort foods,” and an increased risk for mood disorders in adulthood. Among older adults, mental health problems can masquerade as other issues, making it very difficult to get a correct diagnosis. For instance, the early stages of Alzheimer’s can be passed off as the forgetfulness that accompanies aging. Depression can be mistaken for loneliness or grief after a loss. The symptoms of late-onset schizophrenia can be mistaken for the symptoms of dementia. Missing or misdiagnosing a mental health problem in an older adult can have devastating consequences. Issues like depression can increase the risk for health problems, which is not good in a population that’s already at increased risk of heart disease and stroke. Additionally, an incorrect diagnosis also means incorrect treatment, which means that some older adults are at risk of living with a curable mental illness just because that illness has been mistaken for something else. Treating mental health issues in children and older adults is similar to treating these issues in adults. There are two primary types of treatment for mental illness: psychosocial therapy and medication therapy. Children with a mental health problem should take part in some sort of psychosocial therapy, or talk therapy. In fact, a recent study found that children undergoing a type of talk therapy called cognitive behavioral therapy responded very well. Because children are still growing and developing, they can respond differently to medications traditionally used to treat mental illnesses. For this reason, it’s important to work with a medical professional who is experienced at treating children. An experienced physician or therapist will be able to weigh the potential benefits of medication against the potential risks, as well as adjust the dosages of medications very efficiently. It’s recommended that older adults, too, use both talk therapy and medication to treat mental illness. In fact, there are some benefits to using only (or primarily) talk therapy for older individuals. It’s not uncommon for older adults to take several medications on a regular basis, so relying on talk therapy rather than medications for mental health issues can avoid the potential for drug interactions. Recognizing a mental health problem in a child or an older adult can be difficult, because the responsibility often falls on those around him or her. Diagnosing a mental illness in an older person can be difficult, too, since the symptoms of several different mental illnesses and disorders are similar to each other. Working with experienced professionals should help ensure that the correct diagnosis is reached. If you suspect that a child has a mental illness, tactfully ask his or her parents how the child has been doing. Ask if they’ve noticed anything concerning and, if they have, suggest that a trip to the doctor’s office might be a good idea. Similarly, if you think an older adult has a mental illness, approach him or her (or his or her caretakers) and respectfully bring up your concerns. Be careful not to come off as harsh or accusatory. If you’re responsible for a child or an older adult and suspect your charge has an undiagnosed or misdiagnosed mental illness, don’t stop pressing for answers. Discuss your concerns with your physician and ask lots of questions, and if he or she is unwilling to listen, find someone else. Research any medications prescribed for your charge, and be on the lookout for side effects or drug interactions. Do you know a child or an older adult who has a mental health disorder?